Dissertation topic: Resiliency of Successful High-Risk Females in an Alternative Setting. Southern Connecticut State University, 1990. 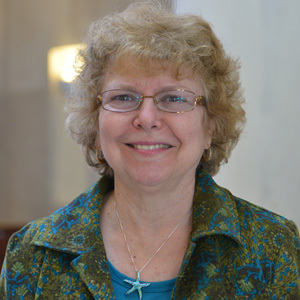 Dr. Sandra Billings is an Associate Clinical Professor in the Teachers Certification Program for College Graduates (TCPCG) in the Neag School of Education at the University of Connecticut, Waterbury branch. She has been at the University of Connecticut for seven years. Before coming to UConn she was the Director of Secondary Certification Programs at Fairfield University for seven years and previous to that taught math for 27 years in the Norwalk Public Schools; her last 22 years in an alternative high school. In Norwalk she served as Professional Development Facilitator and has been in involved in Connecticut Teacher certification for over 25 years. She has been very involved with the state BEST, and TEAM programs as an assessor, mentor, and mentor trainer. Dr. Billings has been very involved in multicultural education and has presented numerous workshops on culture, diversity, prejudice, and sexual orientation to educators nationally and statewide. Site Team Visit: Connecticut State Department of Education. Accreditation team. Central Connecticut State University, March 2015. Chapter 6 When, where, what, and how much about linguistic and cultural diversity to infuse into already packed courses. Kaufman, D., Truxaw, M.,Marcus A., Billings S., & Wagner, M.